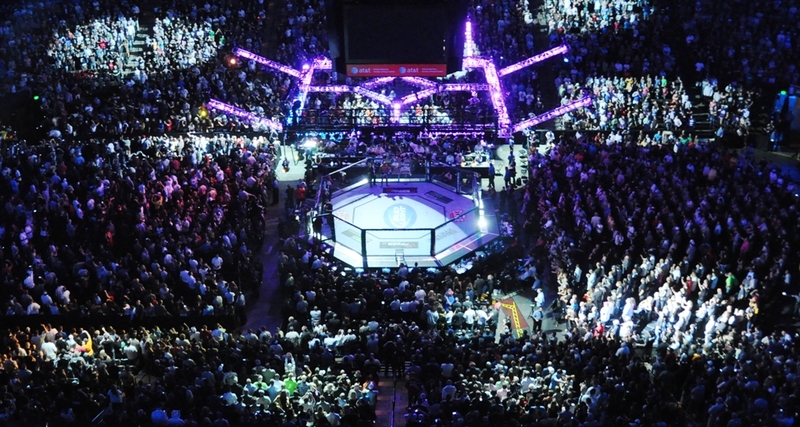 The 90th edition of Fight Nights Global includes some intriguing talent. Undefeated up-and-comer Mukhamed Eminov will test his skills against a 24-fight veteran, and upstart Ali Isaev garners a featured spot in the lineup opposite Alexandr Gladkov. However, it’s the middleweight headliner that deserves our full attention. The bout pairs Vladimir Mineev with Magomed Ismailov in a match of top Russian prospects. Mineev is a highly decorated kickboxer. The 28-year-old made his pro MMA debut in 2014, but he’s been active in the pro kickboxing circuit since 2009. 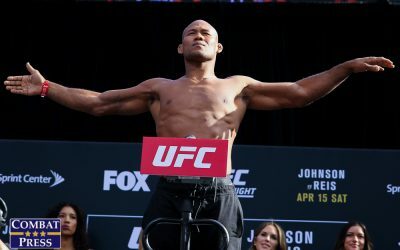 The striker hasn’t settled into just one weight class, instead opting to bounce around between weights ranging from 176 pounds on the small end of the scale on up to light heavyweight at his heaviest. Along the way, Mineev has finished seven opponents with his fists and three by way of submission. His kickboxing resume includes 11 knockout stoppages. Mineev suffered his only loss in a 2016 majority decision to UFC castoff Maiquel Falcão, but he subsequently destroyed the Brazilian with strikes in the first round of their rematch just five months later. 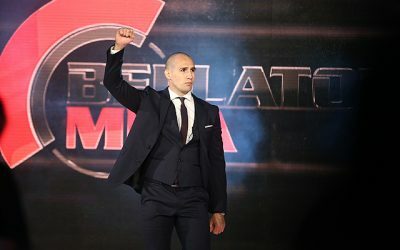 He has since added a striking stoppage of Bellator veteran Andreas Michailidis and a first-round submission of journeyman opponent Pavel Masalski. Ismailov, 32, is a member of Golden Team. In what’s listed as an amateur bout on more than one fighter database, the Russian handed Rashid Yusupov a decision loss. The combat-sambo specialist’s pro career isn’t quite as impressive, but it’s not too shabby. 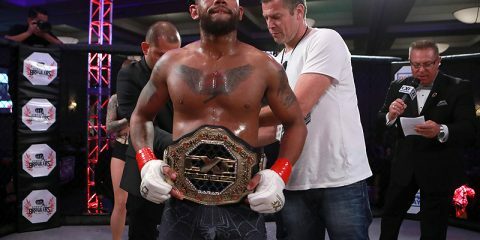 His losses came against Lars Arendt, Anatoly Tokov and Xavier Foupa-Pokam, but he also holds a victory over Vladimir Katyhin and recently decimated former UFC fighter Ildemar Alcantara with first-round strikes. He has six knockouts and four submission victories. 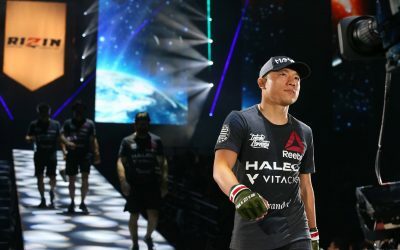 Mineev scored first-round finishes in his first five MMA fights, but his best opponents in this stretch were the aforementioned Foupa-Pokam, a struggling UFC veteran, and Yasubey Enomoto, who pushed Mineev to the first decision of his pro MMA career. 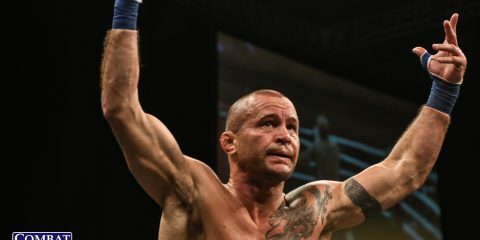 He stumbled against Falcão, but quickly avenged the loss and added another notable victory before padding his record further against a sub-.500 fighter. Mineev needs to demonstrate consistency against tougher opposition if he wants to advance further in his pro career. His kickboxing background and ability to submit opponents are enough to suggest that he’s quite capable of a successful run in this sport. Ismailov can bring a quick end to his opponent’s night — he’s credited with four victories that came in under the 80-second mark. While his loss to Foupa-Pokam is disappointing, it did come in Foupa-Pokam’s native France via split decision. Outside of this one blemish, Ismailov has defeated an M-1 champ and lost to a fighter who has gone on to post a 27-3 mark as a pro while signing with Bellator. His other loss came early in his pro career. This match-up has all the ingredients to turn into a complete shootout. Mineev is a talented kickboxer who has stomped several of his opponents in the striking department, but Ismailov is also capable of big knockout finishes. This should be a competitive affair, but Mineev has found more success when stepping up against tough competition. Ismailov does have a couple of submission losses on his record, so Mineev should be able to expose these holes and force Ismailov to tap out. Cage Warriors has been a breeding ground for a number of talented European fighters. Conor McGregor’s rise to stardom can be traced back to the British promotion. That’s why welterweights Stefano Paternò and Ross Houston deserve our attention. 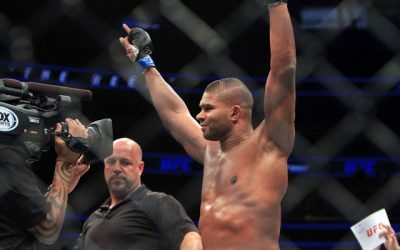 While neither man is necessarily the second coming of the “Notorious” one, these two men are potential future players in the UFC’s 170-pound division. For now, though, they’ll tangle with Paternò’s welterweight belt on the line. The 23-year-old Paternò has been competing professionally since 2012. He launched out of the gates with four straight wins before dropping a decision to Raffaele Spallitta. However, he avenged the loss with a finish in their rematch the following year. The MMA Atletica Boxe export stumbled yet again in a decision loss to Andrea Fusi, but once more avenged the defeat with a submission of Fusi in the pair’s immediate rematch. The victory over Fusi was the start of the Italian’s current eight-fight stretch in which he has not lost a bout — he has seven wins and a draw in this span. 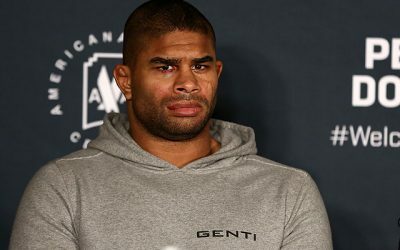 While the level of his recent competition has varied greatly, he has registered a first-round ground-and-pound stoppage of UFC castoff Cody McKenzie and a first-round knockout of UFC veteran John Maguire. Most recently, Paternò scored a first-round finish of Mehrdad Janzemini to claim the Cage Warriors gold. Houston is an SBG Ireland teammate of the aforementioned McGregor, but he also trains out of the Jiu-Jitsu Misfits camp. The Scottish upstart went 6-2 as an amateur, but he avenged one of those losses — a decision defeat at the hands of Steven McCreadie — by scoring a submission finish in a rematch. As a pro, “The Hitman” has managed to emerge unscathed through seven fights. His first two victories, a decision and a submission finish, came against rookie opponents. He has since added an additional five wins against adversaries who sported winning records when they met Houston. This run included back-to-back wins over the same fighter, Aaron Khalid. His most experienced foe so far has been Nathan Jones, but Houston’s win came at the tail end of the veteran’s current four-fight skid. Paternò is a very well-rounded fighter. He likes to throw jumping knees and wings his punches in from wild angles, but he’s also capable of reversing takedowns and scrambling to advantageous positions on the mat. The Italian is aggressive with ground-and-pound from the top as well. Houston’s specialty is the ground game. He’s found three submissions as a pro, and he also had several submissions as an amateur competitor. He’s patient as he works to advance position and hunt for the neck or a limb. He looks stiff in the stand-up, however, and might leave himself open to take some heavy blows from the champ. Houston simply hasn’t been tested at this level yet. Paternò, on the other hand, has dished out losses to the likes of McKenzie, a one-note wonder on the mat, and Maguire, an inconsistent but scrappy fighter. The Italian already handled a strong ground fighter in Janzemini, and his multi-dimensional attack should be enough to allow him to top Houston for a hard-fought decision nod. 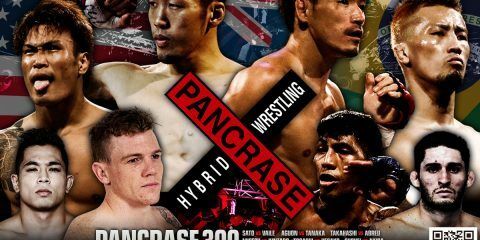 It’s somewhat disappointing that Pancrase’s 300th effort doesn’t feature a stronger lineup. The Japanese stalwart promotion has only two truly notable pairings on this monumental show. One of those is the welterweight affair between Takashi Sato and Matt Vaile. Sato debuted in 2013 and cranked out eight straight wins. Five of those victories, including four by submission, came in the first round. The Tribe Tokyo MMA product finally stumbled when he met Kenta Takagi, who finished Sato with a first-round knockout of his own. Sato recovered and reeled off five victories, including a first-round finish of Takagi. This stretch featured a total of four victories by first-round knockout. This run earned the prospect a shot at the welterweight King of Pancrase crown, but Sato came up short when he was submitted by Glaico França. Sato’s 27-year-old opponent Vaile has quietly put together a strong mark through 11 pro outings. The New Zealander shot out of the gates in 2014 with five straight wins, including three victories over opponents with winning records. 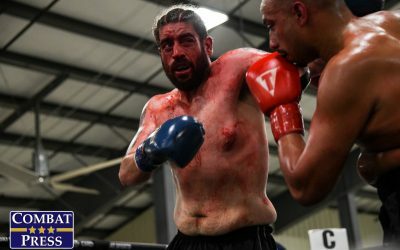 “The Viper” went the distance with UFC veteran Benny Alloway, but he dropped the decision for his first and only loss. Vaile rebounded nicely with another five wins. 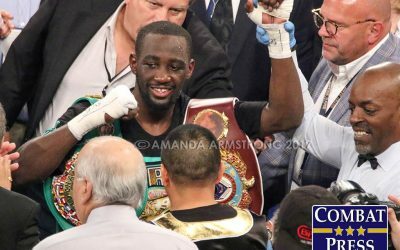 He handed Andrew Mills his first pro loss in late 2016 and has fought primarily against opponents with winning records. His most recent outing came under the Hex Fight Series banner, where he decisioned Kitt Campbell. Vaile has a background in karate and ranks as a third dan black belt in taekwondo. Sato sits near the top of the Japanese welterweight mountain, but he has had his struggles. He has already suffered a loss to a fighter who was just three wins above the .500 mark when they met and who now sits at .500 after 32 career outings. He also came up short in his title bid against França, a veteran with a good-but-not-great resume. Sato might benefit here from Vaile’s lack of seasoning outside of Australia and New Zealand. Vaile is making his first trip to Japan, and he’s tackling a tough task in Sato, a veteran of the Pancrase circuit. Vaile’s striking tendencies also put him directly in the crosshairs of Sato, who has demolished opponents early with strikes. 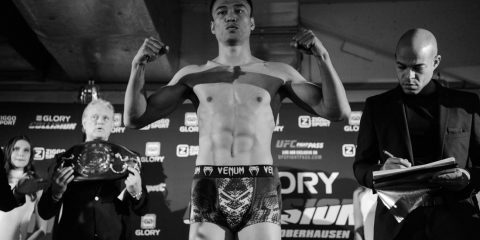 However, Sato also has the added weapon of a deadly submission game that could bring an early end to the night for Vaile. Sato has to be considered a strong favorite in this match-up. Vaile might be able to give the Japanese fighter a battle on the feet, but Sato will likely look to Vaile’s weak point and take this fight to the ground. If Sato is successful in dragging Vaile to the mat, then this one should end with a quick submission finish.